Yes North Goa flea markets are mad big and buzzing but we also like this small one that happens every second Saturday at Fusion in Agonda. The bed and breakfast hosts a flea market to foster a community feeling and let everyone enjoy a sunny day out. With about 10–20 stalls, it’s usually got fresh produce, handmade goodies, decor, jewellery, pre-loved clothes, artworks, bags, live music and drinks to sip as you browse. 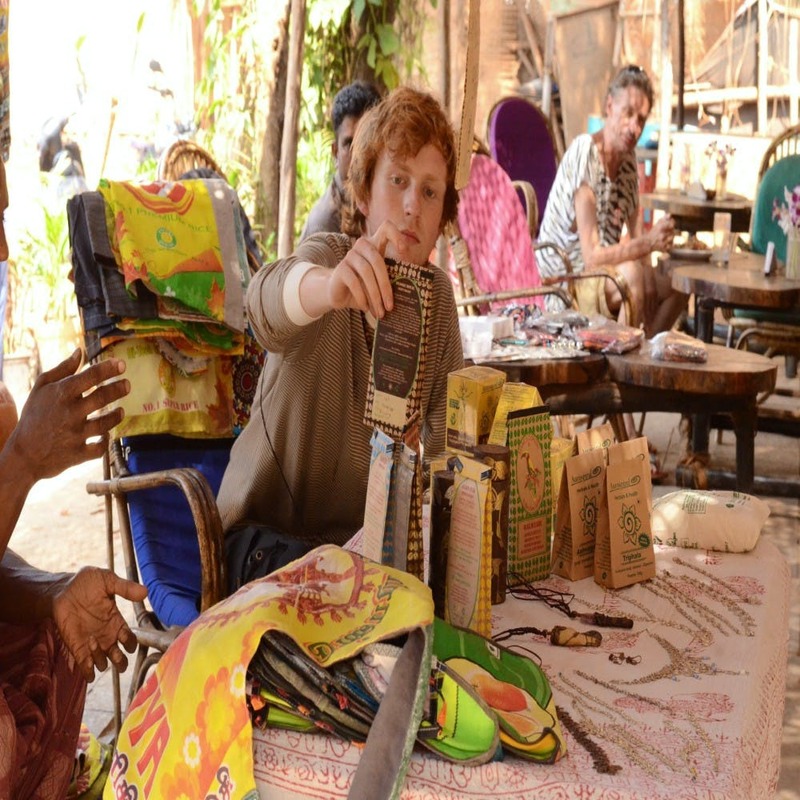 You'll find a mix of local artisans and long-stay Goan tourists setting up shop here and if you’re lucky, you can get second-hand stuff for a steal (think INR 100 and upwards). Fusion Agonda has moved a few metres from its original spot on the beach to a newer, better location. Their beach huts look nicer while their events remain a constant. So, every Wednesday and Friday, they’ve got live music while Mondays and Saturdays are movie nights. None of their events have an entry fee, so there should be nothing holding you back. These flea markets are also a fun way to spend the weekend if you’re staying in Agonda. I mean, you’ll know how sleepy the beach is (nope, we aren’t complaining for it’s beautiful still) so any little activity is always welcome. Right? The entry to the flea is free but you pay for your meals and drinks from the Fusion cafe. If you wish to set up a stall at the flea, they’re happy to let you do it for free. The only kinds of participants they’re not looking out for are ones selling cooked food because hey, they’ve got an amazing restaurant dishing out meals already. P.S. We'd say the market's too small to make a trek if you aren't already near Agonda. Ideally, just make this just one of things you do on your Agonda beach day.